It was another great get together with the "Sisters" to toast to Jackie's "Special Day." We all had a great time and when everyone warms up, we have so much to share and talk about. 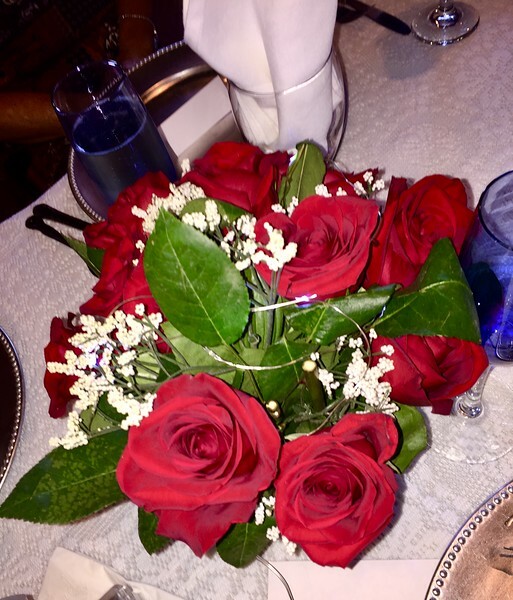 Thank you Francine for such a beautiful table setting again and EJ, the roses were beautiful. I must admit, we do know how to enjoy ourselves. Let's count our blessings!.